HARRISBURG, Pa., Jan. 4, 2018 /PRNewswire/ -- With the start of 2018, many people are diving into their New Year's resolutions. Two of the most popular ones are to get in shape and be healthy. As a community-based health insurer that prioritizes health and wellness, Capital BlueCross has multiple tools to help you achieve your goals. Our Capital Blue health and wellness stores located in Enola and Saucon Valley offer a variety of options to help you get on the right track when it comes to nutrition and fitness. With a registered dietitian on staff to help find the right nutritional program to fit your lifestyle, Capital Blue can help you make 2018 your healthiest yet. If you are a Capital BlueCross customer, your one-on-one meeting is free; for non-members, there is a small fee. During your consultation, you can receive multiple health screenings including blood pressure, cholesterol, blood sugar, BMI and height and weight measurements – all important numbers to know as you set goals for better health. If you are looking to combine healthier eating with more exercise, Capital Blue has you covered. Daily classes are offered for every age group and fitness level. They include Zumba®, cardio kickboxing, power toning and yoga. 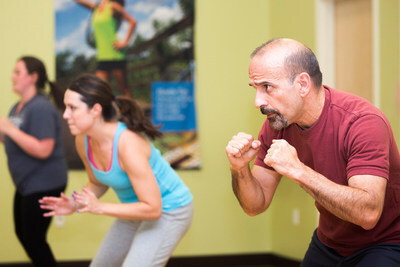 Fitness classes are free for Capital BlueCross members and only $5 dollars for non-members. For a schedule of classes or more information on programs offered, visit capitalbluestore.com. Another important part of staying healthy is visiting a doctor when you aren't feeling well. For so many of us, finding time to get to a doctor's office can be difficult. If that's the case, telehealth may be the answer. This innovative approach to health care offered by Capital BlueCross lets you see a doctor by live video from your phone, tablet, or personal computer. Telehealth is like a secure Facetime or Skype session with a physician, who can diagnose a number of common ailments such as pink eye, bronchitis, and the flu. After a consultation, a telehealth doctor can send a prescription, if needed, to your preferred pharmacy. A telehealth visit costs much less than a trip to the emergency room or urgent care center, and doctors are always on call – night or day. As your partner in health, Capital BlueCross is here to help you achieve your wellness goals in 2018. To learn more about what is available, visit capbluecross.com. Capital BlueCross, headquartered in Harrisburg, Pa., is the leading health solutions and insurance company in Central Pennsylvania and the Lehigh Valley. A partner in the community's health for 80 years, Capital BlueCross offers health insurance products, services and technology solutions that provide peace of mind to consumers and promote health and wellness for our customers. More than a health insurer, the company delivers innovative solutions through a family of diversified businesses that is creating a healthier future and lowering health care costs. Among these solutions are patient-focused care models, leading-edge data analytics, and digital health technologies. Additionally, Capital BlueCross is growing a network of Capital Blue stores that provide in-person service and inspiration to help people reach their health goals. Capital BlueCross is an independent licensee of the BlueCross BlueShield Association. For more information, visit capbluecross.com.